A 36 year old lady came to learn Reiki from me. She is into acupressure therapy and has helped many people get rid of their physical problems. She heard about Reiki and thought it will complement her acupressure therapy. It was an interesting story how she tumbled upon acupressure. At the age of 25 she was diagnosed with hyper thyroids and the doctor put her on allopathic medication. With time the dosage kept on increasing till it reached 150 mgs. She had three kids to look after, apart from all the house work. As a side effect of the medication, she started losing memory, she was tired all the time and she lost the grip of her fingers. While picking up vessels in the kitchen, the vessels used to slip from her fingers and fall down. She was going through hell. Meanwhile she developed back pain and was advised surgery. One day her parents came to see her and her mother was devastated. They went back and on another morning they took her forcibly to the Brahmakumari center where an acupressure therapist was visiting that day. She received a session on acupressure therapy, and to her relief and astonishment she was relieved of her problems to a great extent. She was called again in the same evening for a second session, to which she obviously went. That kindled her interest in acupressure and she followed her heart’s calling. Now she is off the allopathic medicines, her memory is back to normal and she can perform her house hold duties well. And she didn’t have to undergo the surgery for back pain, which was also relieved through acupressure therapy. That was interesting. 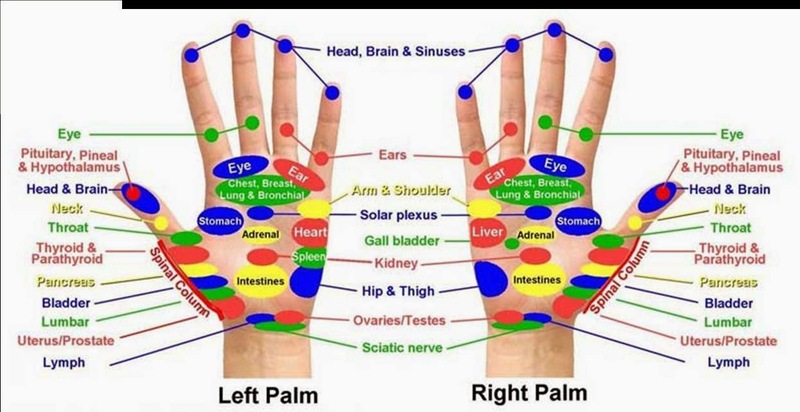 Never thought acupressure is so effective.